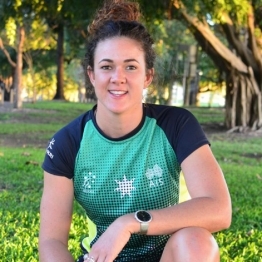 They are all doing different distances for different reasons; but on Sunday Geoff Stanton, Quona Young, Stacey Rush, Kieran and Lachlan Hood, and Toni Scanlan will join thousands of runners for the 16th annual Townsville Running Festival. TheGo caught up with them to find out why they are each lacing-up; but the same message rang true — to just give it a go. 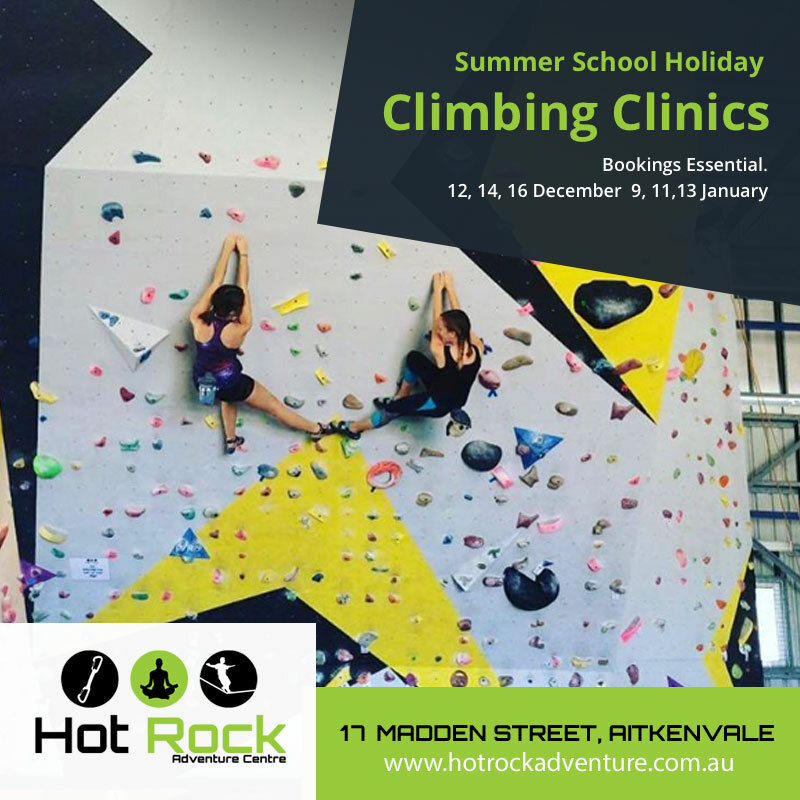 Be quick: Online registrations close Thursday midnight. 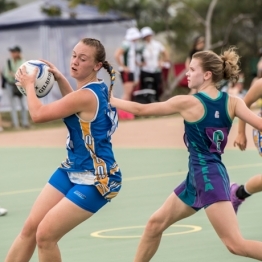 Last-minute entries will be accepted on Saturday from 11am-4pm at Tobruk Pool, The Strand. 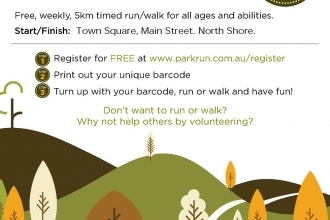 Why are you doing the 2.5km Hero Run? I wanted to give it a go this year and challenge myself as this is my first year in a running festival. When I heard that you could choose a charity to support, it was even more reason to take-up the challenge: Panda’s Ear (pandasear.org.au) is close to my heart as my sister’s nephew, Alexander, was born with microtia and atresia affecting his left ear. The family need to raise $100,000 before next year to fly him to the US for reconstructive surgery to restore his hearing. How are you feeling? Excited about running, but also a bit nervous with this being my first running festival. I’m usually a sprinter and have run cross country before, but that was back in high school and a long time ago! What do you enjoy most about running? Before I had my son (Johnny, 18 months — he will be participating in the event too in a pram), I was always running; whether it was playing touch football, or just going for run down The Strand or around my area. Running makes me feel good about myself, it gives me a sense of achievement, and it makes me feel like I’m one step closer to getting fitter each time. Best training tip: Always remember to warm up and cool down before and after a run. Goal for this race: I have two goals — raise somewhere between $500-$1000 for Alexander and his family; plus my personal goal is to challenge myself by finishing the run — it’s been so long since I’ve ran since having my son. Next active goal: Run the colour run in September with my teenage niece and nephew who are both sports-minded. Last words: “If you don’t challenge yourself, you will never change”. 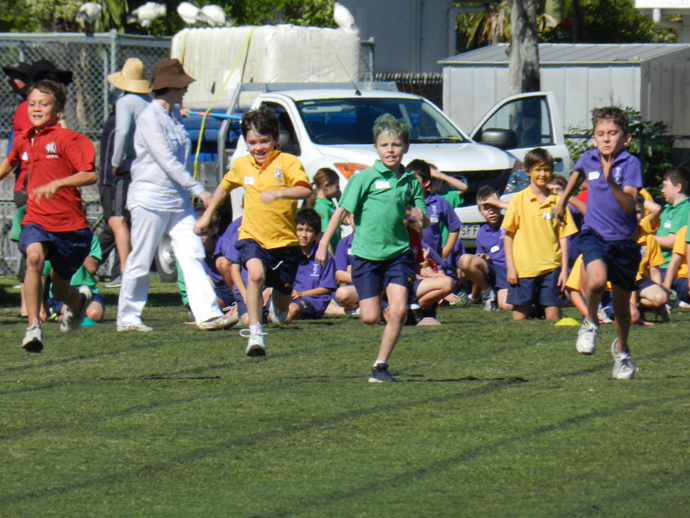 Lachlan Hood (green shirt) at the school sports carnival. Why are you doing the 5km Run? 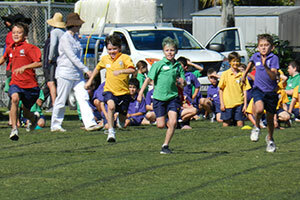 Lachlan: Because I like running. Kieran: To improve on my previous festival race time and place. How are you feeling? L: I’m feeling a bit nervous but also excited! It’s my first time in the festival. K: Pretty keen and relaxed, as it’s my fourth time running in the event. Are any of your friends doing it? L: I have some friends running and also my Mum is doing the Hero Run with my sister. K: I also have a few mates involved, plus Dad is running his first marathon on the day. What do you enjoy most about running? L: I’ve been running for a few years with my brother and my Dad, and we all love it! I like to be fit. K: I like the fact that running helps keep my fitness up. Best training tips: L: Get up early and go for a run when it’s cool, plus learn how to breathe properly. K: Stay away from sugary foods, eat healthily, have a training partner and be committed! Goal for this race? Any sibling rivalry? L: My goal is to try to make the top 10 in my age group. My brother and I don’t compete with each other yet. 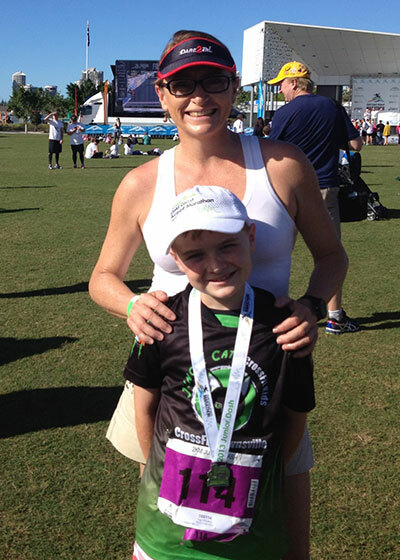 K: I have always been taught to run my own race… my goal is to improve my time from last year. Next active goal: L: Keep training for next year’s race. K: Train hard to further improve my time and position. Last words: L: I can’t wait for race day! K: And to see how Dad goes running his first marathon! 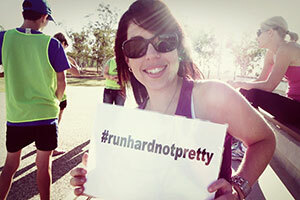 Why did you sign-up to the 10km? I agreed with my sister last year, who did the 5km with me, that this year we would do the 10km together. I don’t care if I finish it running, walking or crawling over the line. As long as I start and finish, I will be extremely proud of that. It’s your first one — how are you feeling? I am a little nervous. I’ve had a few setbacks this year with major splints and joint pains, but I’m back at it and looking forward to getting out there and giving it my all. What do you enjoy most about running? I only started running about a year and a half ago. I haven’t been able to really run for most of my life. During my childhood I suffered from severe asthma and in my teens I was overweight; so, I never knew the feeling of getting from point A to point B all by yourself by running. About two years ago, I made the decision to have a Laparoscopic Sleeve Gastrectomy due to a huge list of medical conditions. I was nearly double my weight (94kgs), I suffered from hyperthyroidism (Graves Disease), I had gallstones, and I also suffered from mild sleep apnoea, constant sore joints and back pains, had mild depression and was on the borderline of becoming a diabetic. So a change was needed. After my surgery and recovery period I found that I could do more with my body. I had more energy, I was happier and I wanted to do more and, most importantly, try more. I started running and I was hooked. It was something I did on my own and at my own pace. 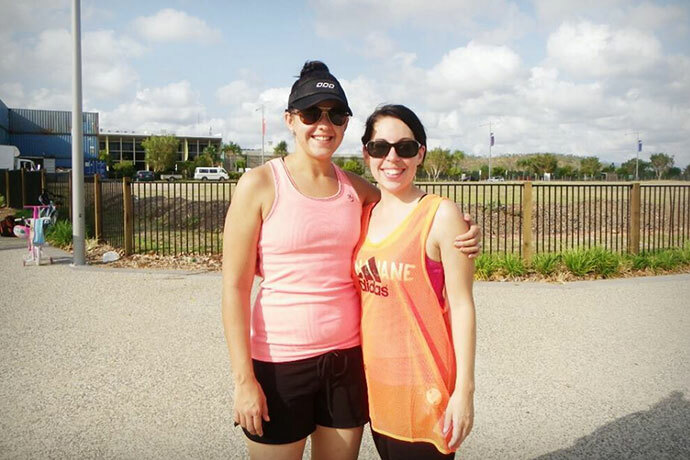 Then, last year, my sister introduced me to parkrun (Riverway and North Shore) which is a free timed 5km fun run held here in Townsville every Saturday at 7am. I registered and I saw my progress increase even further. I achieved personal bests, I met like-minded people who had been running for years and offered their knowledge and wisdom to me, and most of all, I fell in love with running. Best training tip: Always stretch (before and after) and get the right running shoe for you. Goal for this race: I’m not looking for a PB this year for the 10km. I just want to start and finish it with my head held high and to meet my sister at the finish line. Next active goal: One of my New Year’s Resolutions is to run 5km in under 35mins. I still believe I can do this and I’m positive that I can achieve it before the year is done. Why did you sign-up to the half marathon? I set myself a goal this year to complete two half marathons. The first is at the Townsville Running Festival and the second is at the Great Barrier Reef Marathon Festival in Port Douglas in November. It’s your third half marathon — how are you feeling? My preparation has been good and I’m really looking forward to the event. What do you enjoy most about running? It doesn’t matter where you are, you can do it. Pull on your runners, Google Map a track, and head out. I also love the adrenaline rush of competing. Are you excited that your boys are getting involved this year? Definitely. It will be great to have both Tex (11) and Willoughby (9) running at the same time as me. 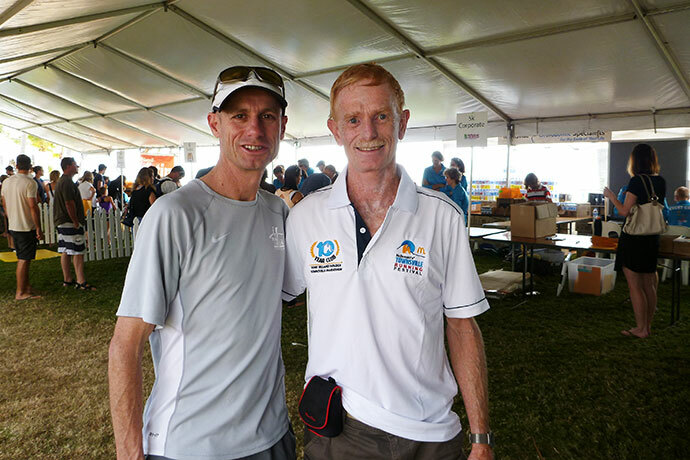 This will be Willi’s first big event, however Tex is an old hand at it now, after last year doing the Junior Dash at the Gold Coast Marathon Festival and the 5km in the Townsville Running Festival. I joke that I have created two little “Mini Me’s” and love hearing my boys ask, “Mum, can we come running with you in the morning?”. They are learning to love being fit from a young age. Best training tip: Keep it interesting. Mix up running sessions between hill sprints, long steady and shorter sharper sessions. I also like to mix up my training with Crossfit and bodyweight strength sessions, to keep my body feeling strong all over. Goal for this race: I always seem to hit my stride about a third of the way into a race. I hope to improve this time by hitting a good pace earlier on. Fingers crossed for a PB. Next active goal: For my 50th birthday, my partner Cam and I are planning to do a race in Costa Rica called The Costal Challenge. 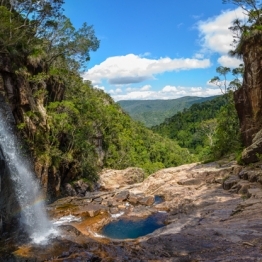 It’s a five-day stage race through rainforests, over mountains and along beaches. Each day is between 19-25km. We’ve got three years to get fit enough. Last words: Have a go! 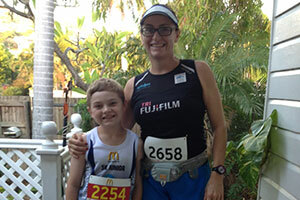 I did my first Townsville Running Festival five years ago and was happy at that time to complete the 5km. I never imagined then that I would even contemplate doing a half marathon. Why did you sign-up to the marathon? 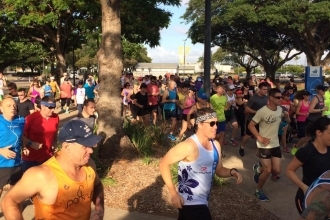 The Townsville Marathon is a very special event for me and all the Townsville Road Runners, volunteers and sponsors who have made the event what is today. 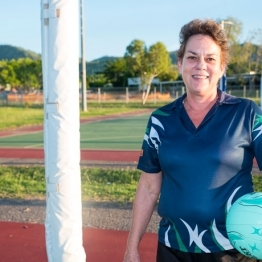 I’ve been involved with it from the start of the Townsville Running Festival in 1999 and the marathon has a long tradition back to the early 1970s — it’s the second oldest Australian marathon. 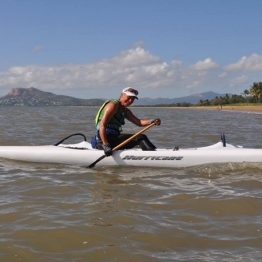 Now having completed 10 Townsville Marathons it has become even more special. 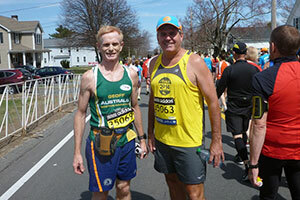 I have recently completed the Boston Marathon, which was an amazing experience. I have also run marathons in New York, London, Melbourne, Sydney, the Gold Coast, Wagga Wagga, Newcastle, the Six Foot Track Marathon, Brindabella Classic and a couple of Forster Ironman Triathlons. This one is actually your 41st marathon race — how are you feeling? I feel relaxed at the start of each marathon these days but wonder how my body will hold up – so far, so good! I don’t only run a marathon to clock up another, but use it to give me a goal to keep fit. What do you enjoy most about running? The peacefulness of long distance running, either alone or with Townsville Road Runners (TRR). The camaraderie in TRRs helps you to stay motivated. My running used to be reasonably quick, but over the years I have been slowing — I still enjoy running at a slower pace. I’ve also been enjoying mountain bike riding as it can be peaceful too, yet doesn’t leave you with as many sore spots… unless you fall off! Living at Pallarenda, I regularly ride the Under The Radar track. Best training tip: Enjoy your running, or whatever your activity is, without overdoing your training. When training for an event slowly increase your distance to avoid injury. 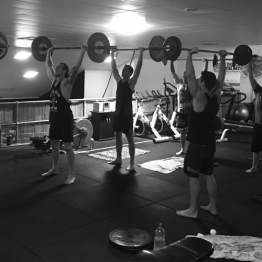 Training with a group can definitely help to maintain your motivation. Cross-training really helps recovery — I find swimming and mountain biking great. Don’t forget to build-in rest into your training program as resting is just as important as the training. In fact, it is essential to avoid injury and to get the best out of your hard work. Goal for this race: During a marathon (including the Townsville Marathon) these days I take a pocket-sized camera, talk to people and take pictures along the way of the scenery and those around me. So I don’t ‘race’ these days – I probably would if I could, but I need to stop and stretch regularly so taking photos is my excuse I have for running slower! Next active goal: I want to continue running marathons, but I haven’t decided on the next one. I need to improve my mountain biking skills and I’m keen to start adventure races, which should again help with cross-training. I will need to be proficient on the ski, so need to work on those skills. Last words: I’m sure that I will run another overseas marathon, but according to my wife Margot, it must be in a great location so that she can enjoy the trip too. One day I may teach our four girls (all dancers) the finer skills of running and mountain biking. 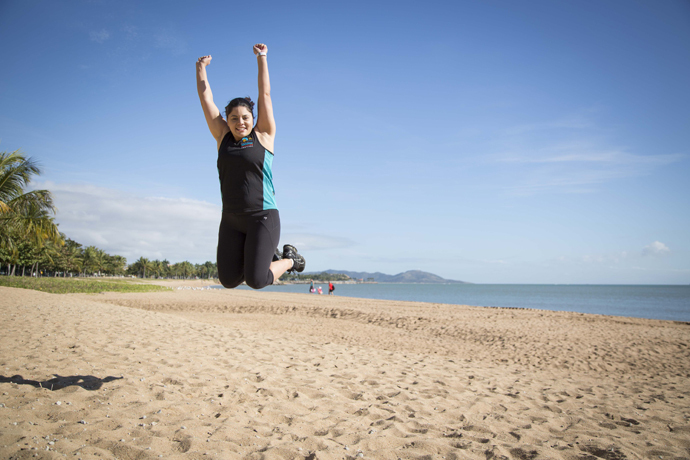 Townsville is a great place to be active and Townsville Running Festival is an ideal event to start or continue being active.